As president, my plan would have produced a budget that was cut, capped and balanced – not one that opens the door to higher taxes and puts defense cuts on the table. President Obama’s leadership failure has pushed the economy to the brink at the eleventh hour and 59th minute. While I appreciate the extraordinarily difficult situation President Obama’s lack of leadership has placed Republican Members of Congress in, I personally cannot support this deal. Substantively, that statement's relationship to reality is tenuous at best. (It was Obama who pushed this debate until the very last minute?) But put that aside and look at the big picture. The nuanced tone makes it seem as if Romney struggled over what to say. And I'm sure he did. But something tells me that the source of his angst wasn't deep reflection on the needs of the economy. 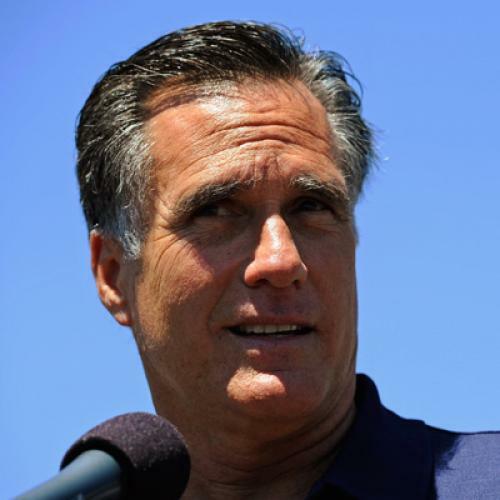 It was deep reflection on the needs of his candidacy for the Republican presidential nomination -- unless you believe that Romney, a seasoned businessman who was a model of moderation as governor of Massachusetts, sincerely believes the country would be better off defaulting on its debts. Obama has taken a lot of criticism for his management of the debt ceiling debate, most recently from yours truly. But Romney's statement is a reminder of just how difficult a situation he faces, given the extremism and immaturity of Republican Party leaders these days. Could Obama have adopted a far more aggressive posture while negotiations were going on? Absolutely. But the simple fact of entering into talks inevitably reinforced the sense that Obama and Dems were not prepared to allow default — no matter what — reinforcing a set of dynamics that were stacked against them. Was that avoidable? Update: Brian Beutler has a nice summary of the deal's pluses and minuses.